Soames Hill is located just above Gibsons and only 3 km (1.6 mi) from the Langdale ferry terminal. Conquering “The Knob” can be done in a short 40 minutes, but don’t forget to leave some time for water and snack breaks at the top. 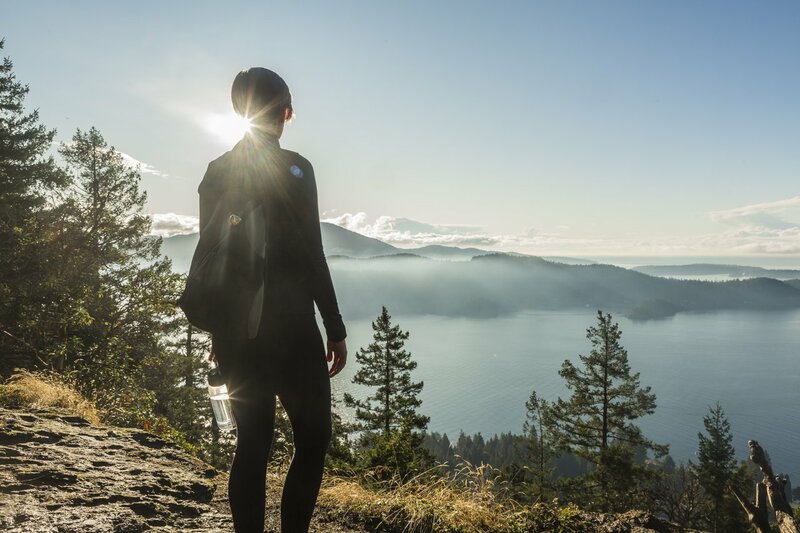 Here you can take in the stunning views of Gibsons Harbour, the coastal mountain range, Keats, Gambier, Bowen, and Vancouver islands. 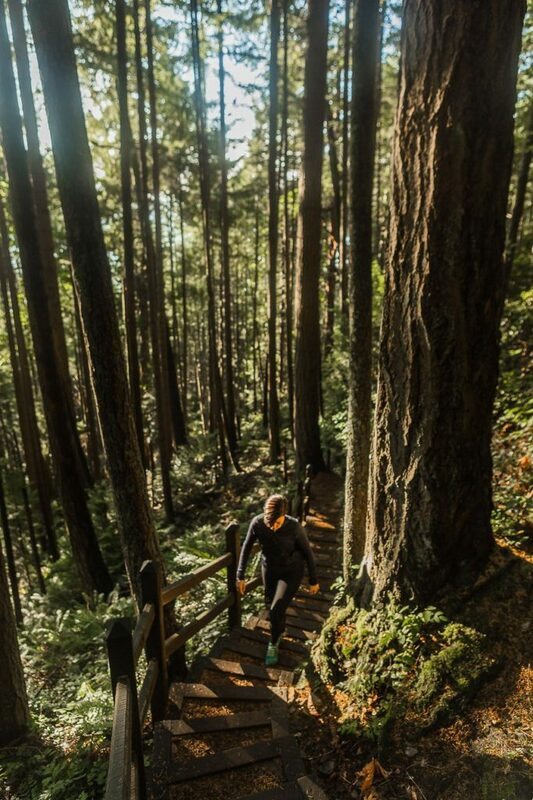 Soames Hill Park covers 150 acres and boasts over 5 km (3 mi) of trails which vary in difficulty from moderate to strenuous through impressive second-growth forest. The Bridgeman Road access provides a moderate trail as you follow in towards the green trail. Turn left onto the green trail and head up the stairs. The stairs are somewhat steep and strenuous, but the views at the top are your reward! Directions to Bridgeman Road Access: From the traffic light at the junction of Highway 101 and North Road in Gibsons, proceed 1.9 km (1.1 mi) along North Road toward the Langdale ferry terminal. Turn right onto Chamberlin Road and after 200 metres turn left onto Bridgeman Road. 300 metres along Bridgeman is the park entrance. Along Chamberlin is another park entrance on Esperanza. Geocaches: There are 3 geocaches in the park. If geocaching is new for you, it’s a real-world treasure hunt, so don’t miss out on the fun. Mountain Biking: This is permitted in the park but the trails are not particularly bike-friendly.